Feel comfortable and supported on a bariatric wheelchair that is remarkably lightweight. The Elite Care ECTR02-20 deluxe transit wheelchair is a bariatric wheelchair with a wide seat to accommodate the larger wheelchair user in safety and comfort. Despite its larger frame, this folding wheelchair is lightweight and can be stored at home or in the car. Supportive elevated leg rests are now available for this wheelchair. 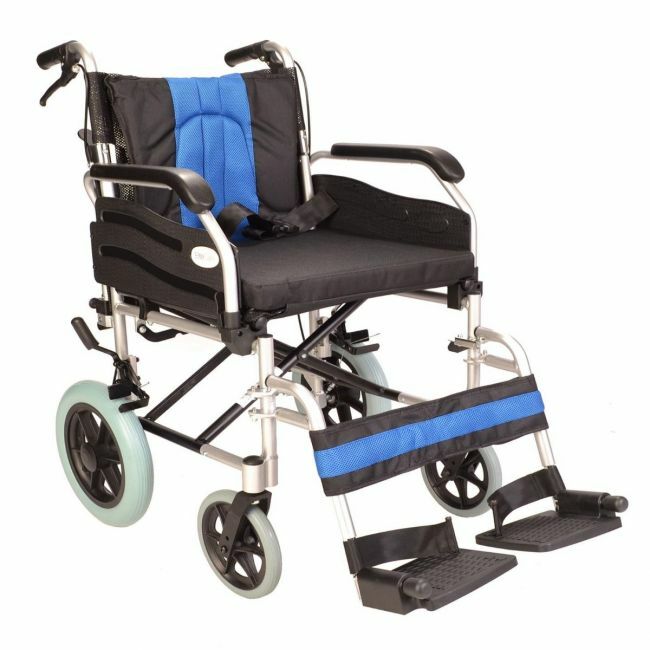 Please see our wheelchair accessories category.